- a tiny weightless receiver embedded into a roulette ball and controlled by a radio transmitter hidden in a pack of Marlboro cigarettes. 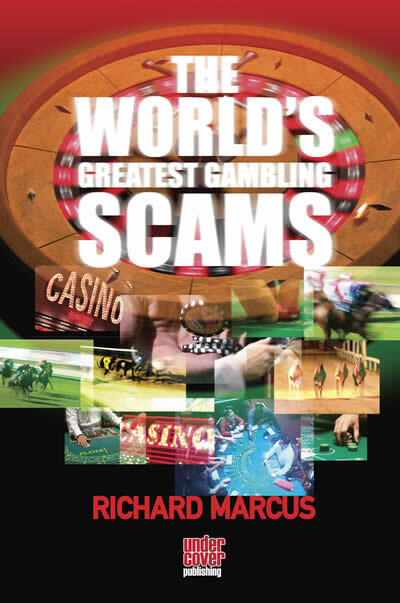 Richard Marcus has appeared on television in the US as an expert on gambling scams. He appeared in the UK on the Challenge TV series on gambling scams and has also had a successful career as casino cheat which he detailed in American Roulette and Great Casino Heist. Ever wonder if you have been cheated at poker? Have any idea how much it goes on? Know about collusion, sleight-of-hand, marked cards and chip dumping? Cheating in poker is more common than people care to believe. In fact it’s rampant. Especially online and in major international tournaments including THE WORLD SERIES OF POKER in Las Vegas, not to mention regulated public cardrooms. There are many ways to cheat, some subtle, some not so subtle. Richard Marcus knows about them all. Ten years ago poker was a minority interest. The advent of online play has changed all that - poker is now big business. Millions of players play every day, both live and online. If you are one of them you will want to ensure that the games you play in are clean. This book will tell you how cheaters operate, what methods they use and how to spot them.